Fire Emblem Awakening is a tactical role-playing video game, developed by Intelligent Systems and Nintendo SPD and published by Nintendo for the Nintendo 3DS handheld. 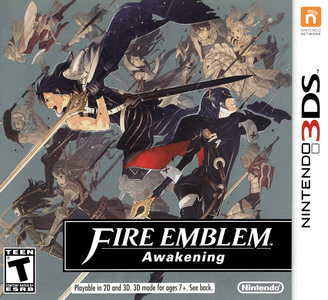 It is the eleventh entry in the Fire Emblem series, and the first to be developed for the Nintendo 3DS. Fire Emblem Awakening works very well in Citra. Graphically, the game looks great when not in areas afflicted by missing geometry shaders; however, when in those areas, major graphical issues occur. This game can achieve full speed on decent hardware. Player experience: Really great performance, was able to finish start to finish with no issues. The only thing that might be annoying is it goes to 70% speed on cutscenes but it’s not a big deal at all. Cutscenes now run at full speed on sufficient hardware in recent Citra versions.